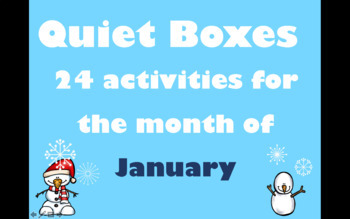 Presenting a collection of 24 quiet box ideas for the month of January. 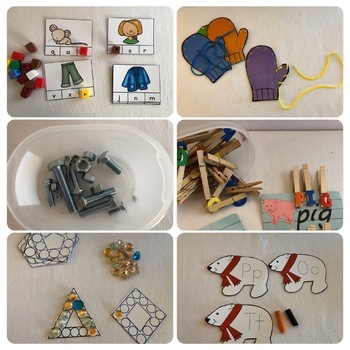 These ideas are complete with pictures for you to visualize the activity, materials list, simple construction instructions, how to play and of course printables for to you use if you don’t’ have something in your collection of “preschool stuff” that will work. 19. How many bears can fit in a mitten?